“Wedding season” aka the summer is (almost) here! Okay, maybe not really “almost” but if you ask me, weddings happen so often all year round! 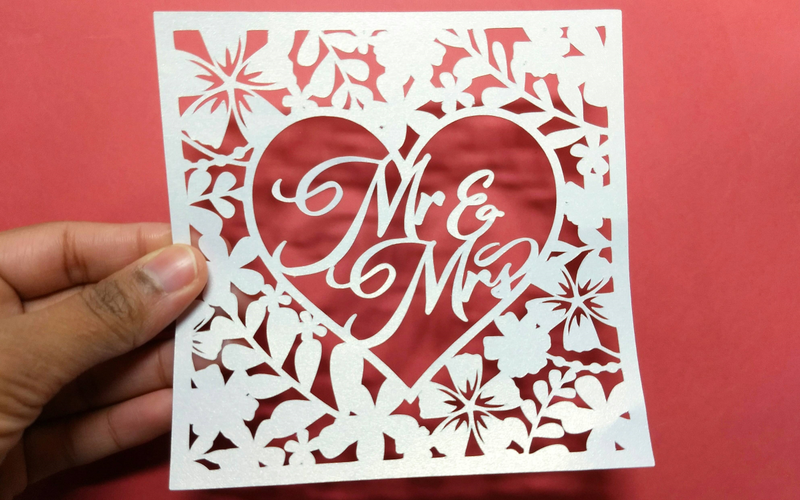 Instead of buying a card to go along with a wedding gift, why not create your own using you Silhouette cutting machine? 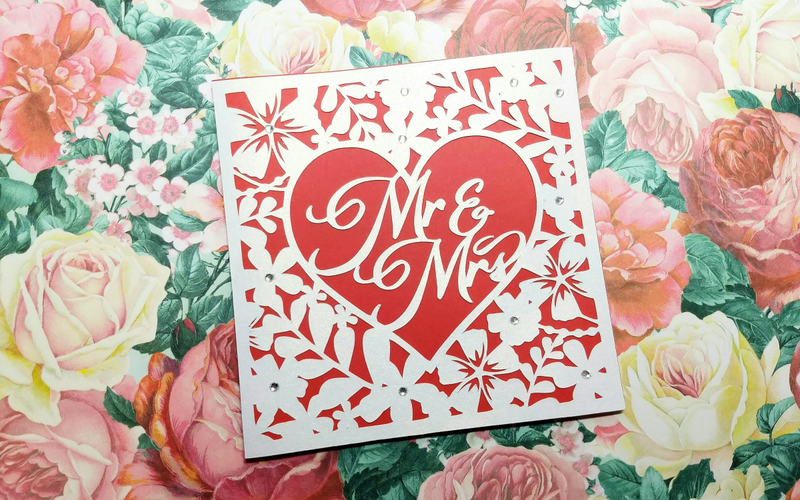 Keep reading to find out how you can create this stunning paper cut card! 1. 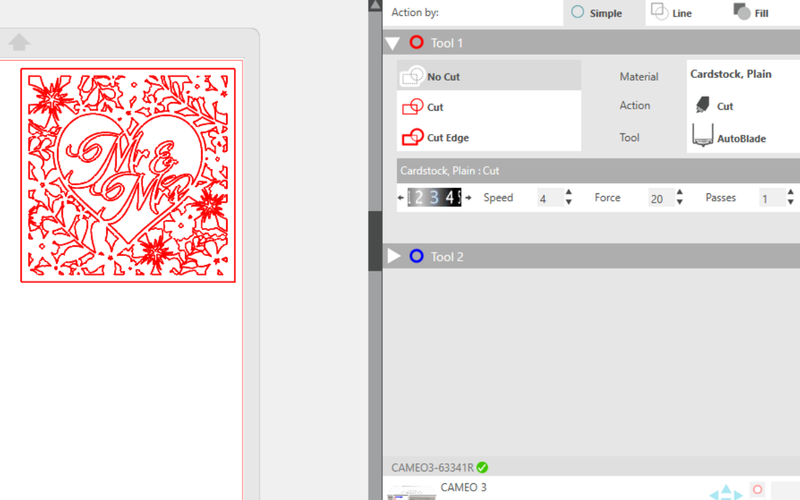 Go to the Silhouette Design Store and purchase Design ID #178981. 2. Locate the design in your Silhouette Library and open it. Since we only need to cut the front design, we will need to make a few adjustments. 4. 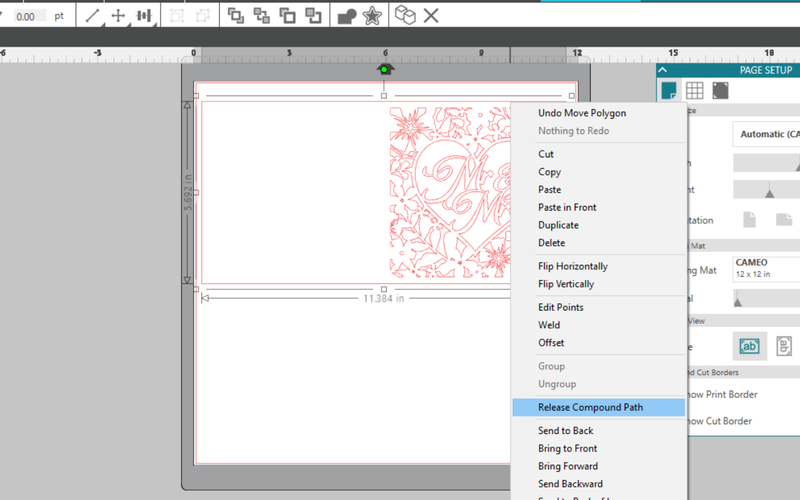 Next, right-click on the design again and click “Release Compound Path.” This will separate the outer rectangle from the inner design. 5. Now that the design is separated, resize the outer rectangle to a square to fit right around the design. 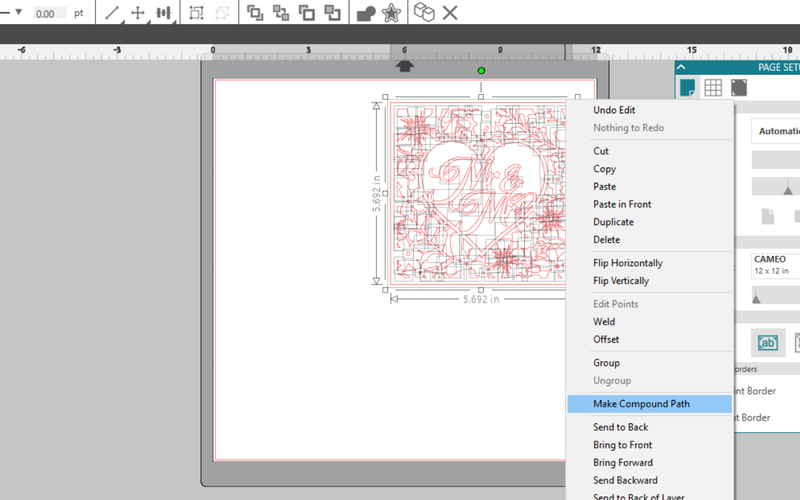 Once done, select everything on the page, right-click, and click “Make Compound Path.” This will once again make the design one piece that is all grouped together. 1. It’s now time to cut! 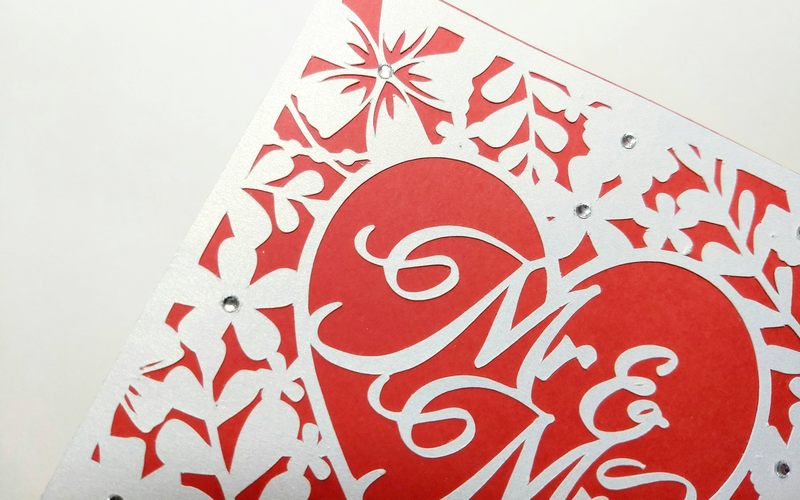 Place the white shimmer cardstock on your cutting mat and load the mat in your machine. Use the correct cut settings for your type of paper. You can see here that I’ve used the same preset settings that I use for plain cardstock. 1. Once your design is cut, it is time to start gluing the card together. Carefully remove the cardstock from your mat, and if needed, use the hook tool to remove any tiny pieces of paper from inside the design. 2. 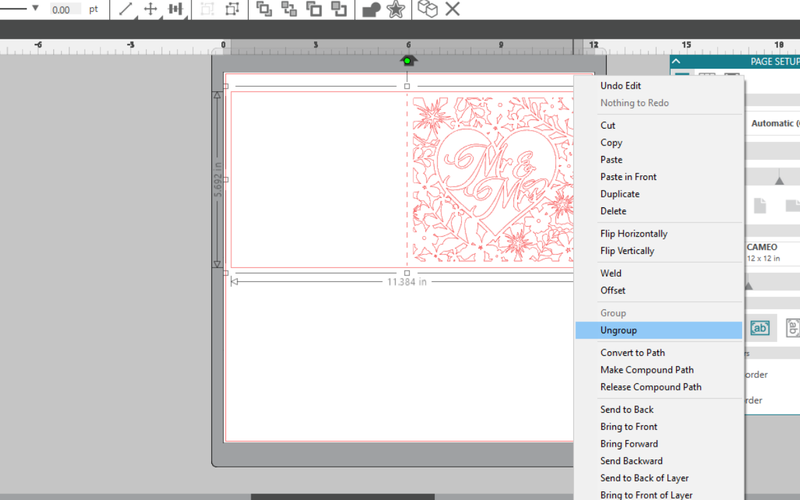 Next, cut a rectangle piece of red cardstock double the length of the design. We will be adhering the cut-out design on top of the solid color to create a beautiful effect! 3. 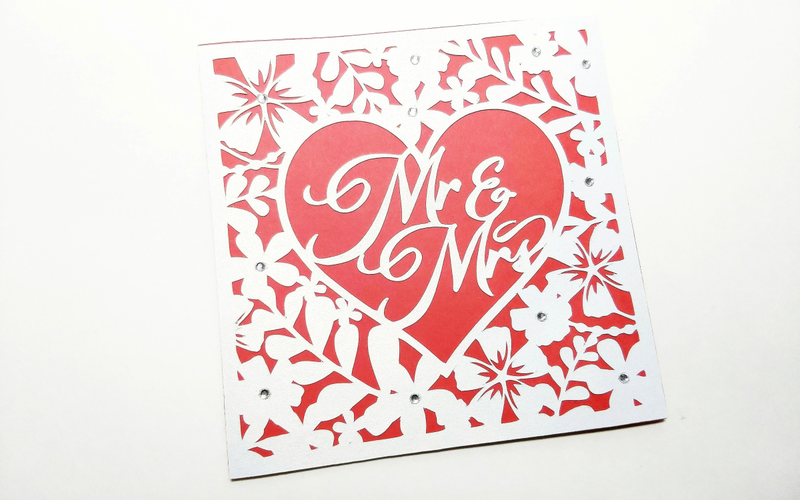 Glue the cut design on top of the red cardstock starting from the top right corner. I recommend using a liquid adhesive as it is more forgiving and gives you some time to adjust your design to the perfect position. 4. 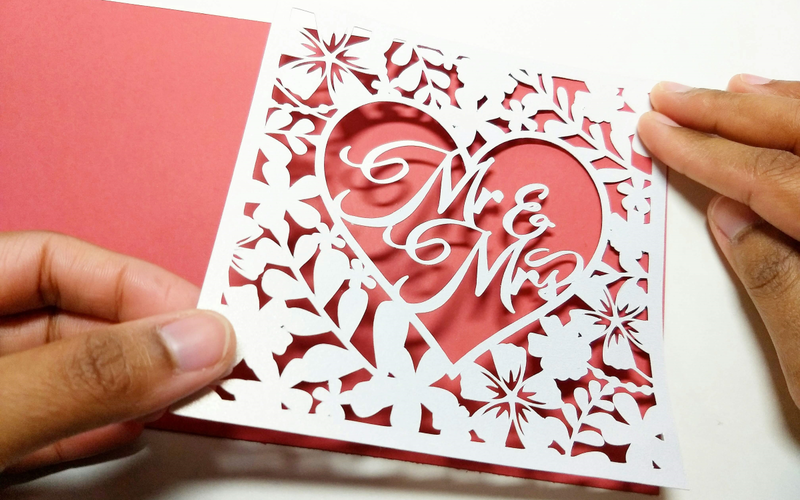 Once the cut out is glued, fold the paper in half to create a beautiful card! 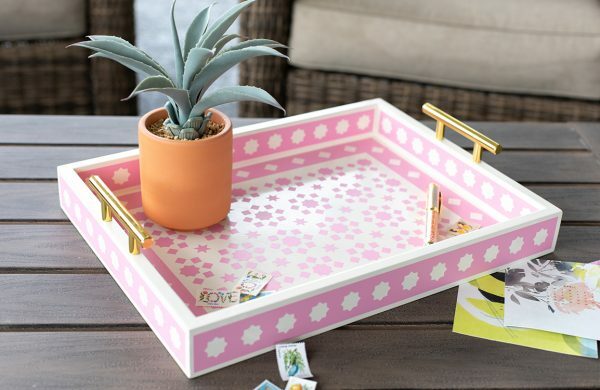 Add a piece of white cardstock inside to make it easier to write your message. In addition, I decided to add a little extra sparkle by adding tiny rhinestones to the centers of the flowers—a tiny detail that makes a huge difference! 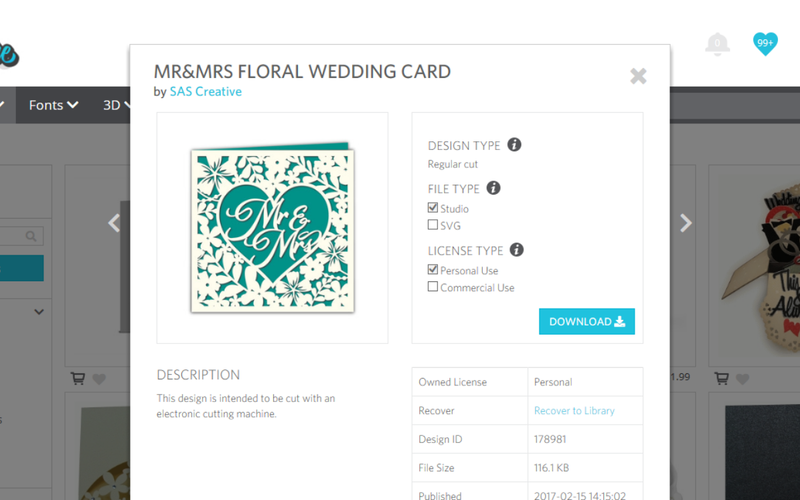 These cards are perfect to give to newlyweds on their wedding day or for an anniversary to a loved one! 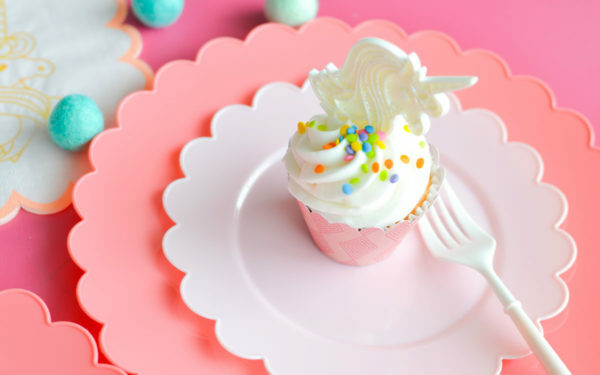 You can easily change up the color theme to match the decor or to match a gift to go along with it!